NORTH BROOKLYN — The city has agreed to pay $160 million for a 11-acre parcel of land, the last piece of property it needed to complete a sprawling waterfront park, the mayor announced Tuesday morning. “Today is the day we begin turning the full vision of Bushwick Inlet Park into a reality," Mayor Bill de Blasio said, citing the deal as evidence that the city would follow through on its promises to neighborhoods across the city. "This is an investment in the future of Brooklyn, and in the children, longtime residents and newcomers in this community. 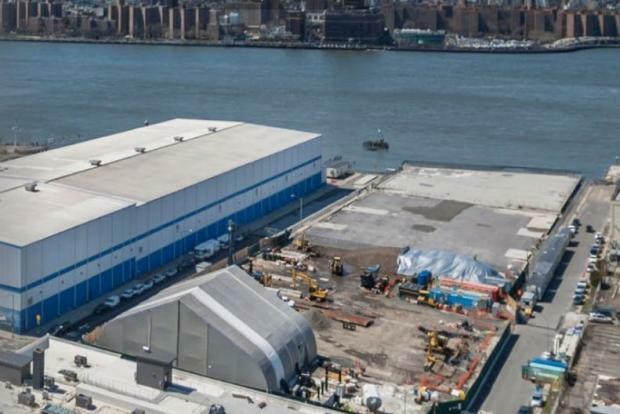 The $160 million deal reached Monday is about halfway between the $100 million Mayor Bill de Blasio initially offered to Norman Brodsky for his CitiStorage property, located on Kent Avenue near North 11th Street and the $250 million Brodsky had reportedly hoped to fetch for his land. And while he'd threatened to sell the land to the developers, he'd blew several self-imposed deadlines where he'd promised to sign the property over to developers, and at the end of the day, Brodsky wanted the same thing as the community did. "Yes, of course, I wanted it to be a park and the city got a bargain because of it," he said. 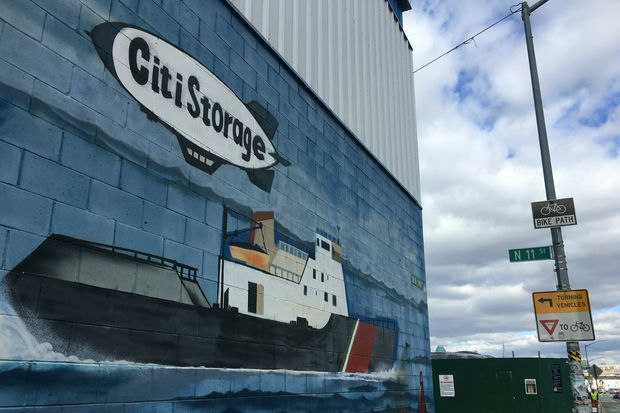 The Tuesday deal marks nearly two years of advocacy ignited by a raging fire that destroyed one of the warehouses on the CitiStorage property from local parks advocates, community groups and elected officials, pressing the city to stay true to a promise it made during the 2005 waterfront rezoning. The city had promised that in exchange for the massive residential towers, North Brooklyn would get 28 acres of waterfront green space. Since the fire, community organizers with Friends of Bushwick Inlet Park have held rallies on the steps of city hall, camped out overnight in front of the property, and hosted theatrical reenactments, all aiming to get the city to make a deal with Brodsky. The news that their goal had finally been achieved stunned, park activists. "I'm incredibly happy for our community. It's been almost 12 years now since the promise and it restores a little faith in our governing and public trust," said Steve Chesler, an organizer at Friends of Bushwick Inlet Park. So far the city has already allotted $225 million in the first phase of building out Bushwick Inlet Park, which includes finishing one section of the park, buying another piece, and remediation and demolition on those sites, according to the Parks Department.